Happy Thursday y'all! I hope that you are having a wonderful week! Today I am so excited to share with y'all this blog hop that is going on! Y'all know how much I love May Arts because it is talked about so much here on the blog and all of the time on my instagram! Well today I am so excited to be apart of this blog hop that showcases both May Arts and Stampendous! I honestly love all of the ribbon from May Arts (and the amazing Ribbon Resource store)! There are so many different textures, styles, colors, and products that you will quickly fall in love with! 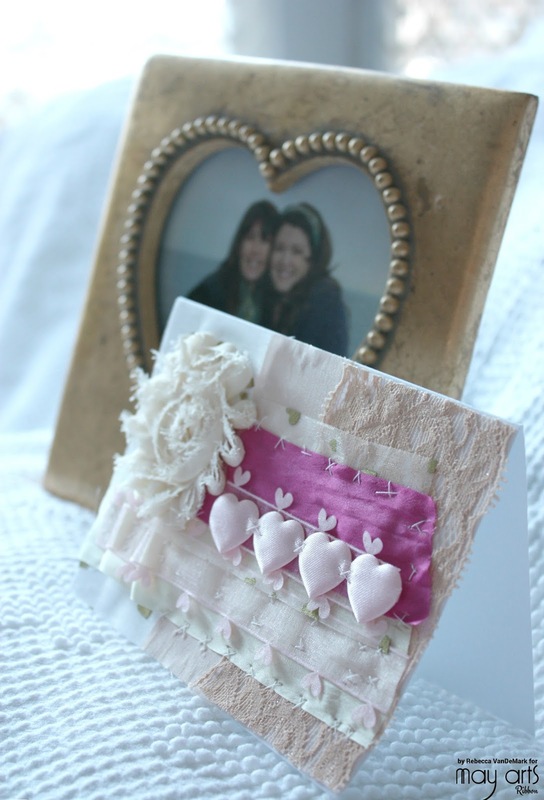 For today's blog hop we showcasing our creations with both the May Arts Ribbon and the Stampendous stamps that we received. I wanted to create a birthday sign for my precious grandmother (whom I call "Ba" as a nickname) as her birthday is next month! I love the colors, the sayings of the stamps (and the lovely and elegant lady stamp with the suit!) 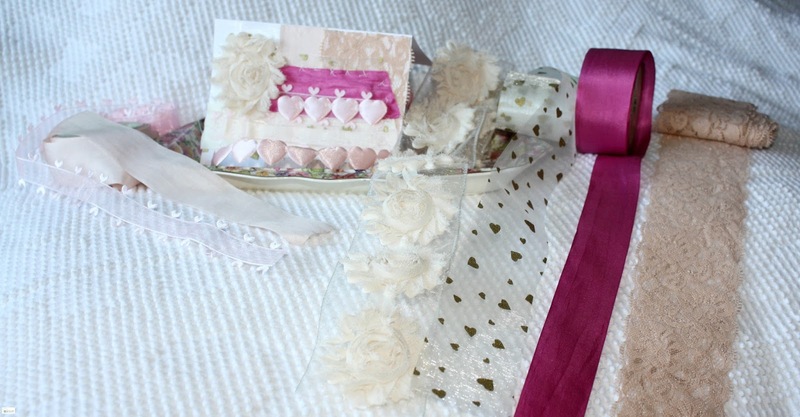 and the way that the ribbon brings everything together! I love all of the different ribbon that May Arts has to offer there is truly a wide range of availability and all different options. Pretty card! 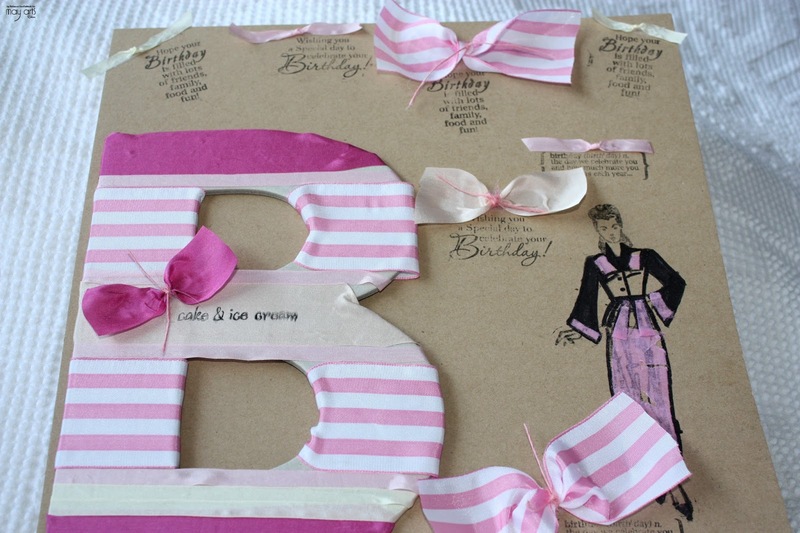 I love the pink striped ribbon! TFS! Thanks so much Barbara!! :) I appreciate your kind words! 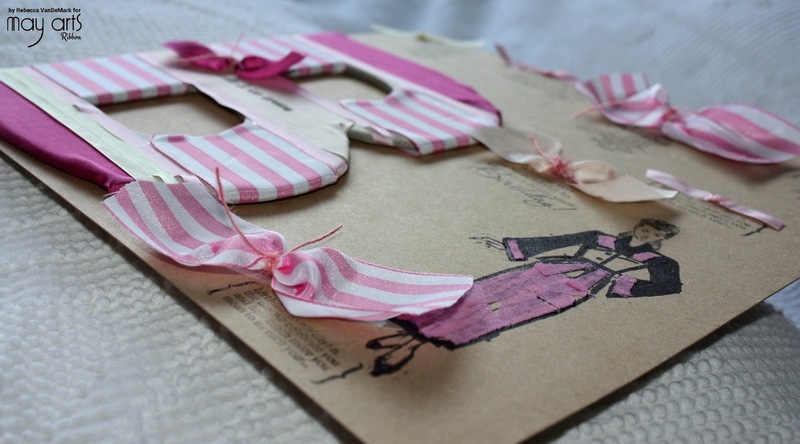 I loved the pop of pink color against the kraft background and LOVE that pink stripped ribbon!!! :) Thanks again!! 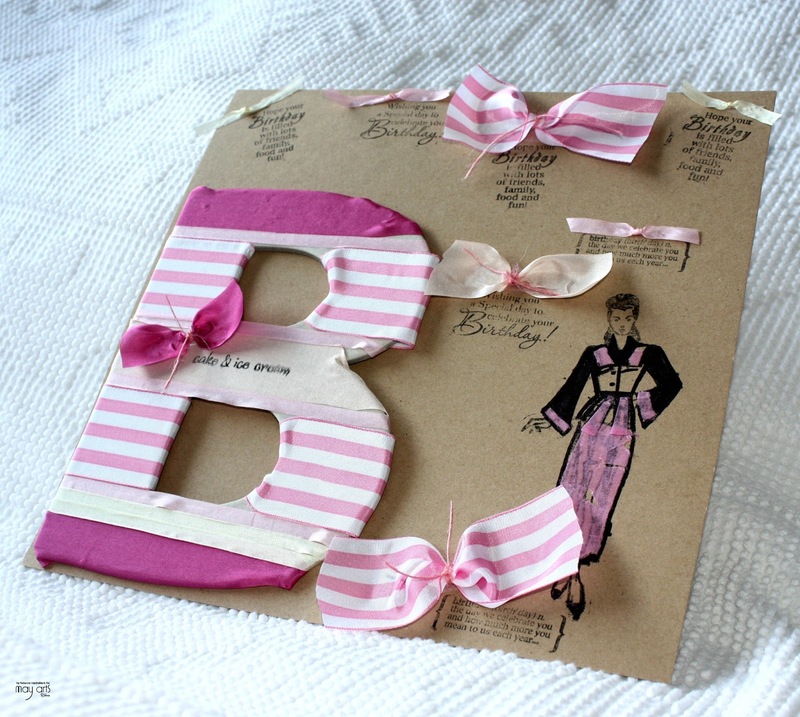 How cute for your grandma--love all the bows and the big B. Love that image of the awesome lady! 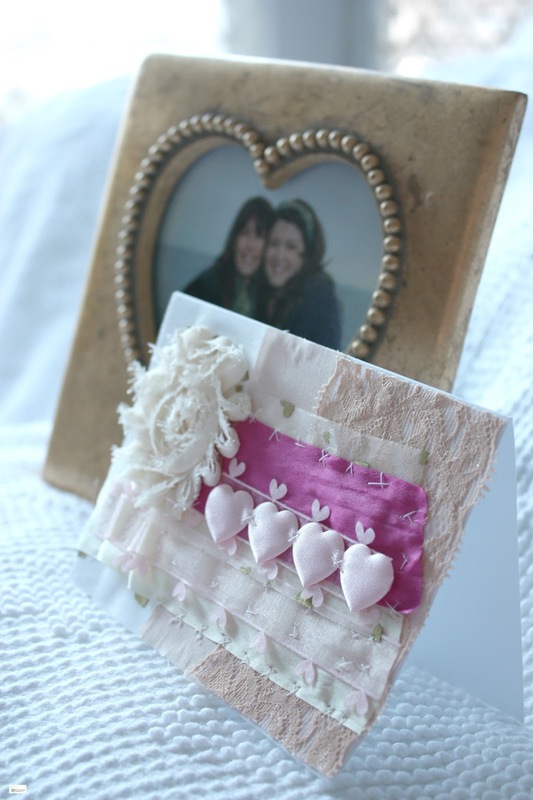 The pink ribbons look great on your card. Thanks for sharing. Thanks so much Judy!! :) I appreciate your kind words! 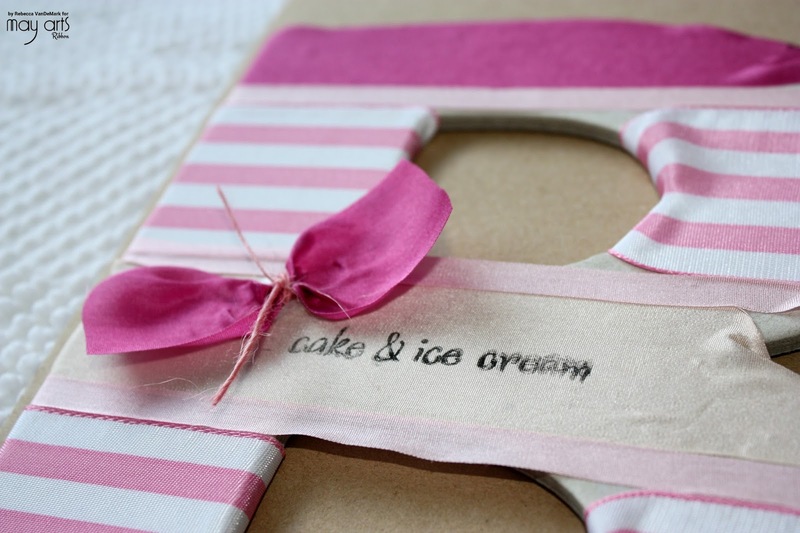 I loved the pop of pink color against the kraft background! :) Thanks again!! What a cool idea. Love the fashion designer look to it. Thanks so much Viki!! :)Me too! My grandma loves fashion like I do so it was a fun opportunity to highlight that!! Thanks again!! 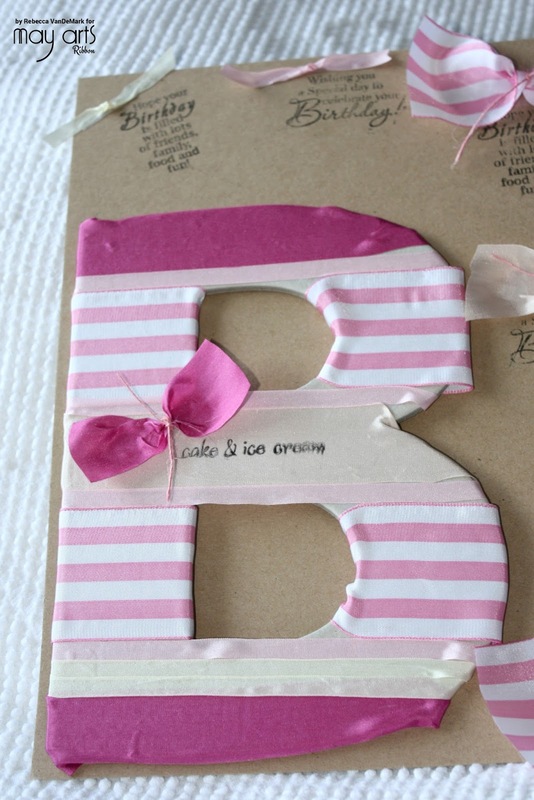 A great way to embellish a letter. You used such a variety of ribbons and they look wonderful. Thanks so much Mary!! :) I appreciate your kind words! 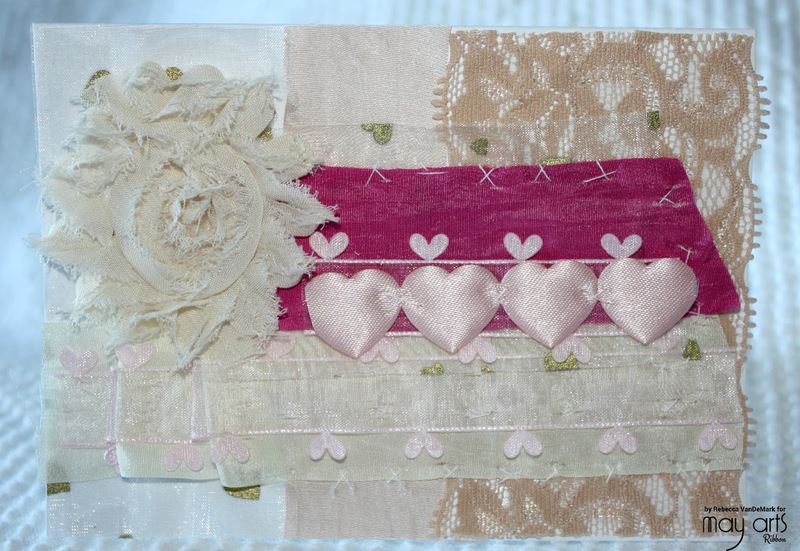 It was my first time embellishing a letter and I see it happening a LOT more in the future!! :) Thanks again!! 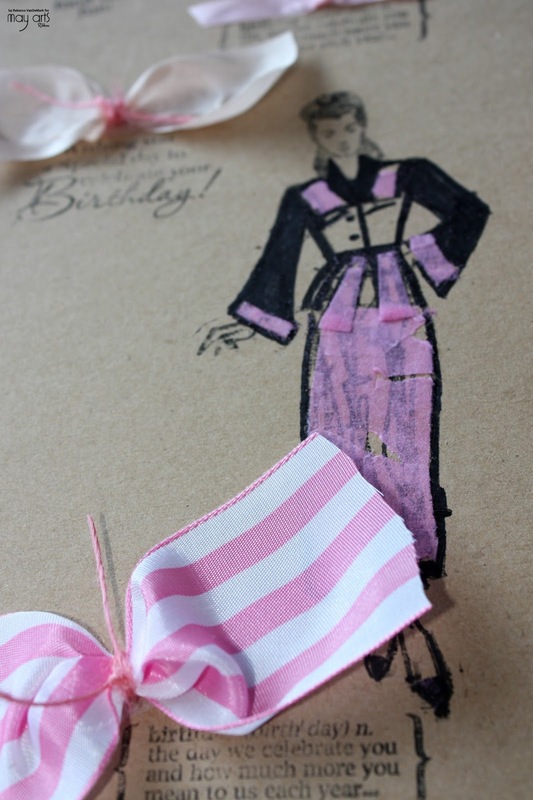 Such a sweet birthday card and love your ideas of inking on the ribbon and using it to embellish! Thanks so much!! :) It was my first time ever trying the inking on the ribbon directly. It definitely was a little smudgy but I am hoping with practice I will get a little better at it! ;) Thanks again!! 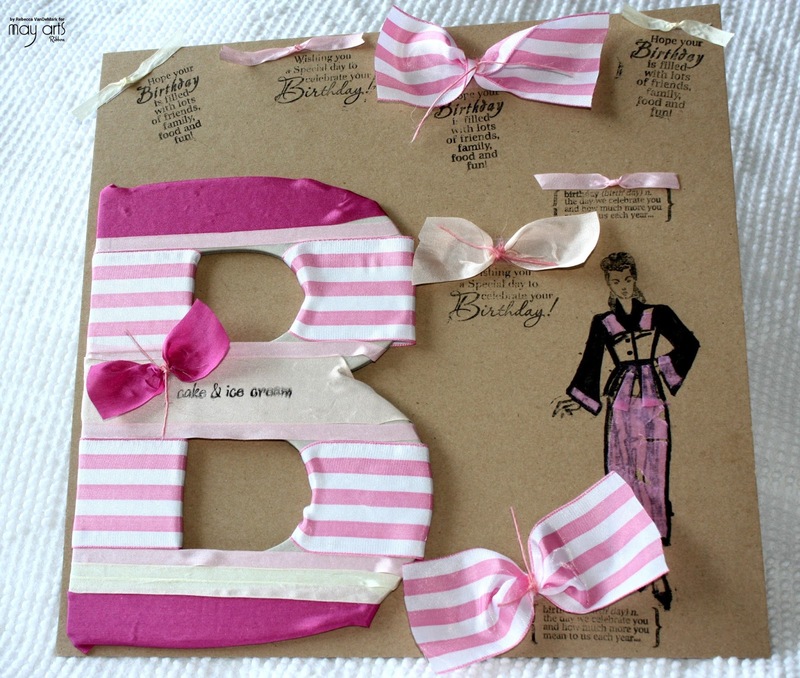 LOVE all of that pink contrasted with the kraft cardstock base of your design. Very clever stamping on the ribbon! Thanks for sharing your talent with us this week! Thanks so much!!! !! :) I appreciate your kind words! 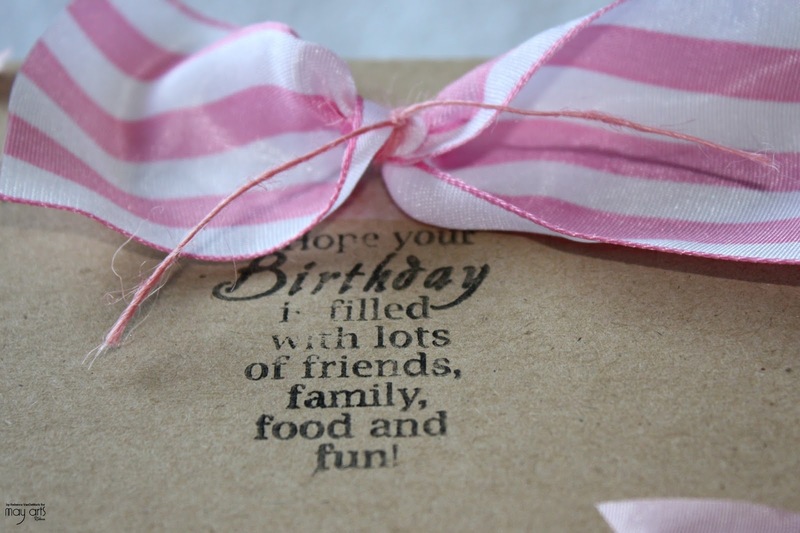 I loved the pop of pink color against the kraft background and loved stamping directly on the ribbon! I definitely need to practice that some more but I loved trying that out and LOVE your products!! 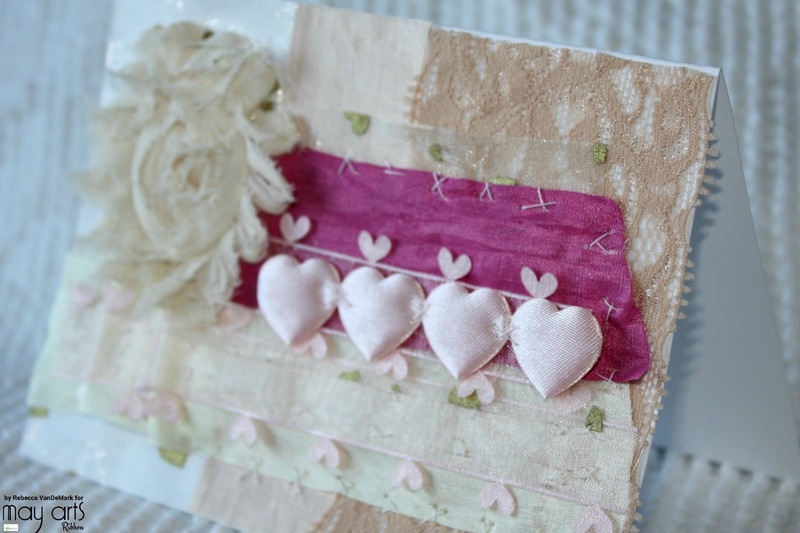 :) Thank you again for teaming up with May Arts this week for this fun blog hop!! Thanks you!! :) I appreciate your kind words!! Thank you so much Julie! 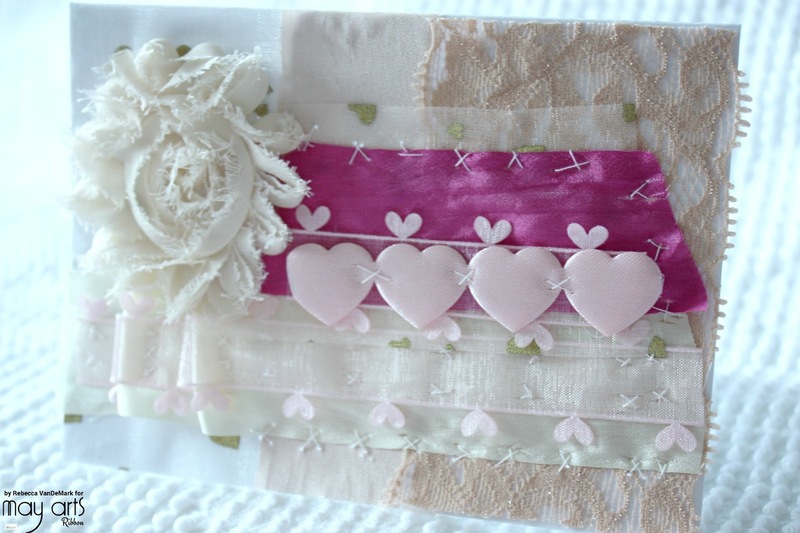 I love the ribbons that May Arts has available- there are truly so many different designs and textures that you can play with!! Thank you again for stopping by and leaving a comment! So cute! Love it! Very well done and I'm sure she enjoyed it very much! Thank you so much Kari!! :) I appreciate your kind words and encouragement!! Thank you again and I hope you are having a wonderful weekend! !